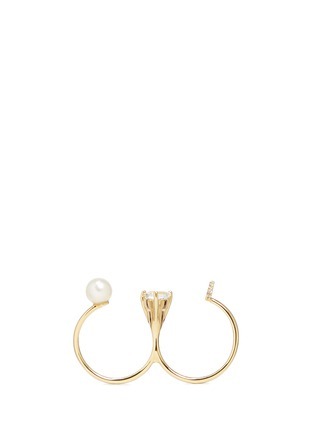 PHYNE by Paige Novick's Marta ring is a brave new proposal on fine jewellery. 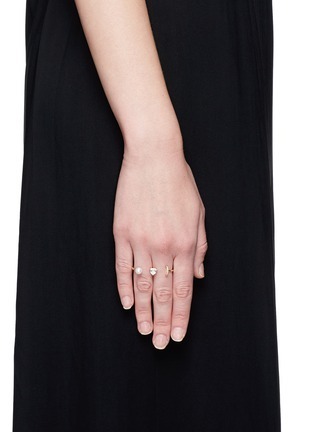 Coming up to date with an elongated form, this style spans across two-fingers for picture-perfect impact. Rendered in 18k gold and stationed with a large freshwater pearl, gleaming topaz and diamond pavé encrusted half moon, this piece is quietly sophisticated for everyday wear.